This boost converter is for those with moderate electronics experience. 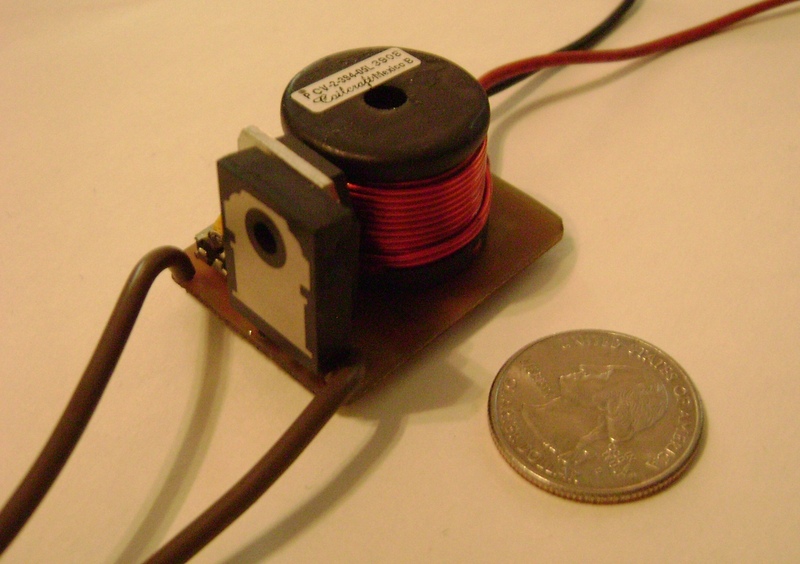 This circuit only takes up 1 5/8″ x 1 1/4″ x 1″ and can operate from 8.4V to 31.2V and output maximum of 500V safely. I recommend using at least a 12V battery. Each test was done 5 times, the best of which is shown. Alkaline can be used, but I strongly recommend Rechargeable high current rated batteries. Lower Voltages May be used, but expect a Lower Power Output. Drawing too much current from your batteries may reduce there capacity, life, and cause your battery to over heat, Monitor Your Batteries temperature. If using LiPoly please use a battery protector or protection circuit. If this circuit fails it can short and cause the LiPoly battery to over heat and catch fire.